You and your family can benefit from a great start to your special holiday by booking a family room at one of our Cardiff airport hotels. Soften the early wake up call and avoid grumpy faces by making sure youre all together and close to the terminal the night before your journey. 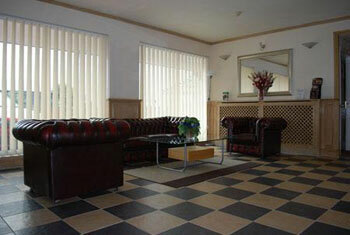 Family rooms vary depending on the hotel. Most of the time the family can all sleep in one room, although you may sometimes have two adjoining rooms. Our Cardiff airport hotel family rooms can sleep up to four people - two adults and two children or three adults and one child. These are called quad rooms, but we also have triple rooms available for one adult and two children or two adults and one child. If youre travelling with a baby, don't worry about bringing your own cot, we can arrange for one to be put in your family room for free so that's one less thing to think about. 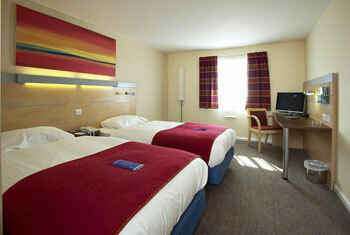 Sky Plaza hotel Cardiff airport: This fantastic 3-star hotel has family rooms available at excellent prices. The Sky Plaza is less than a mile from the airport and the whole family can enjoy a complimentary continental breakfast. Cots can be requested and put in any of the bedrooms free of charge by calling us on 0800 093 5478. Holiday Inn Express Cardiff airport: Less than half a mile away from the airport, this 3-star hotel is also great for families. Spend the night relaxing together as a family and wake up refreshed ready for your holiday. A free hot breakfast is served from 4am to 9.30am everyday and caters for even the earliest of flights.